Third-party candidates often tout themselves as an alternate to a broken, partisan system. That narrative usually involves heavy criticism of both major party's nominees, either through insistence that both are essentially the same — as Green party presidential candidate Jill Stein has tried to do — or through the argument that two very different candidates are both very flawed. However, Libertarian vice presidential candidate Bill Weld seems uninterested in either strategy. On Tuesday night, Weld praised Hillary Clinton in an interview with MSNBC's Rachel Maddow, saying he would "vouch" for the Democratic nominee and that she would be a "capable and competent" president. While not an endorsement, it sounded mildly similar to one (and was, arguably, more effusive than ones that some Republicans offered of Donald Trump). In an election otherwise marked by bitter partisanship, Weld's words are a rare example of a candidate reaching across the aisle to praise a competitor. Although he noted that he would be voting for the Libertarian ticket himself (you know, the one he's actually on), he seemed to agree with Maddow's implication that he wouldn't tell a swing-state resident to vote Libertarian if it would risk electing Donald Trump. Weld also slammed FBI director James Comey's announcement last Friday that the FBI would examine additional emails reportedly related to Clinton, calling the decision "incomprehensible." 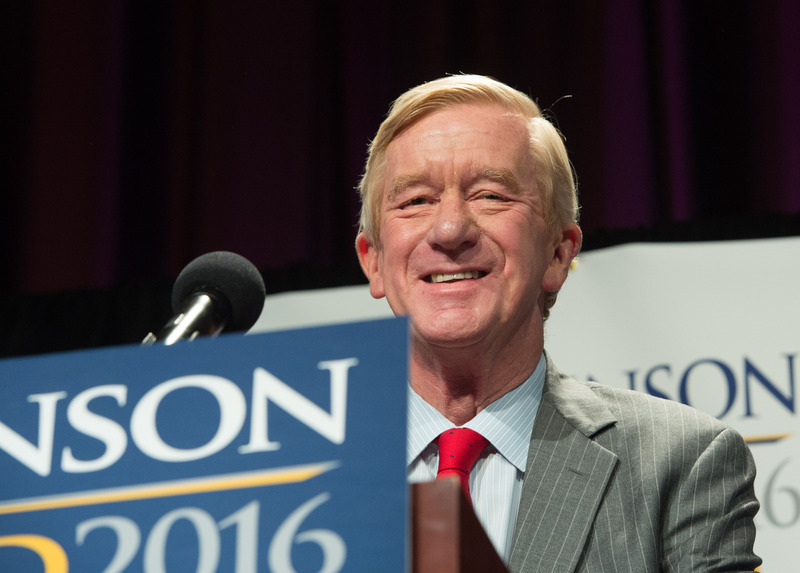 Weld's approval of Clinton represents a decisive break with his running mate, Gary Johnson, who has repeatedly criticized her and even told a radio station that a Clinton presidency "may well end in impeachment." Well, I'm here vouching for Mrs. Clinton, and I think it's high time somebody did, and I'm doing it based on my personal experience with her, and I think she deserves to have people vouch for her other than the Democratic National Committee, so I'm here to do that. Weld's kind words for Clinton aren't that surprising when you consider the history of their relationships. Weld worked with Clinton on the House Judiciary Committee in the 1970s and has offered positive appraisal of her throughout this election cycle, even though they are in direct competition with each other. I think he'd be capable of being a good chief executive and commander in chief ... I believe in the platform of the Libertarian party. Weld did make it clear he will be voting for Johnson (and himself), but he has certainly also made it clear which of the two major party candidates would otherwise have had his vote.